You might think creativity is key for innovating. It is clearly a sparkling factor for starting to differentiate your offer. Then execution, market knowledge and perseverance play major roles when creating a business. 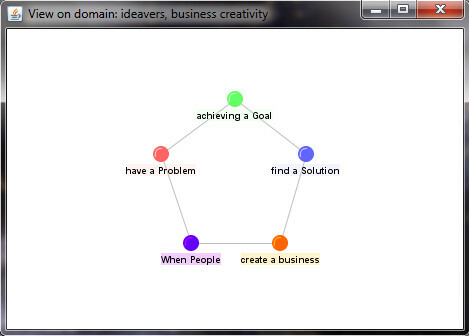 Inspired by state of art approaches in innovation from customer development process to Lean thinking, ideavers provides a creating environment. You can directly download the java file and run it on your platform. It will create a Test file and logfiles automatically in the directory of execution. can be set up for large organization on MySQL Data base and requires specific scaling. bug fixing of switching in between SQL and FILE mode. to move the point of view use the sliding mode (toggle) escape key will turn back in selection mode.